Halloween has become a super-sized celebration in the USA over the past few decades, and is seen as an excuse to compete for who hosts the biggest party, has the most decorations on their lawn, and wears the sexiest (ladies) or the stupidest costume (I shudder to think of that Borat one piece – gentlemen!). The spooky history factor has been lost, and the cheesy Hollywood blockbusters haven’t helped either, with Freddie Kruger and the Scream mask being the standard go-to scary masks that fancy dress shops fill their shelves with. Because of this, Britain has rather turned its back on the ‘American Halloween’ and instead looks to a more ghoulish, history-driven holiday. Halloween is said to be the day that the souls of the dead are said to walk amongst us, and the history is that scary costumes were traditionally worn by people in order for them to blend in and therefore avoid being harmed by the walking spirits. London is dripping in gory history, with many iconic figures such as Jack the Ripper being ingrained in our heritage. Halloween is therefore the perfect time to celebrate our great history, and by dressing up as the iconic figures that have shaped our society we can leave the cheesy-costumes and overdone-theming behind. 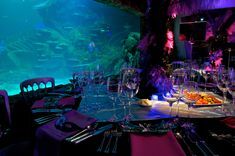 The London Dungeon has cemented itself as the ultimate venue for hosting Halloween parties, with its ready-to-go dramatic backdrop. Iconic, scary, fun, and fully themed – the Dungeons really has it all for Halloween. Simply invite your best-dressed and prepare for the thrills to begin! We really know what elements go towards making the perfect Halloween party work, so read our top tips and enjoy your own quintessentially English celebration this year! Choose a venue that can do a lot of the work for you. 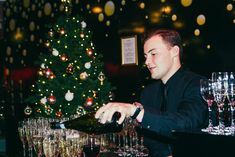 At the London Dungeon the venue is fully themed from the entrance, so not only will your guests get into the spirit of things straight away, the venue will continue to deliver until the very end of the night. Plus, the full actor-led tour that your guests will embark on during their evening will deliver the ultimate Halloween hit, leaving everyone in the perfect mood to dance the night away afterwards. A venue such as an old church, a haunted hotel, or a converted warehouse can all do so much of the work for you in terms of the backdrop for your party. Halloween doesn’t have to mean one generic theme either. There are so many twists on it that you can adopt, whether that is a sophisticated ‘Gothic’ drinks party in an historic upmarket hotel or a Monster Bash in a warehouse! The key when sending out your invites is to think creative and try to capture the essence of your event without giving too much away. Forget digital invites here and take inspiration from fashion week invitations such as this Betsey Johnson, Alexander McQueen and Vivienne Westwood and let the invitation do the talking. For a history based party, send out an old antique key with the details attached on a tag, or if you are going for a masquerade theme send out an eye mask with the details written on the back. Don’t turn your back on app based tools however, as ticketing platforms such as Eventbrite really are the best way to create your guest list and encourage a better turnout as guests who have signed up online are less likely to drop out at the last minute. Send details on the physical invite for the sign up page, which should have all the extra details such as venue directions, and timings. Entertainment should draw your guests in and leave them enthralled, thrilled and spooked! It should add to your event by encouraging your guests to stay in theme, such as an actor to lead guests in a murder mystery or host games. For a quintessentially British Halloween party think traditional and go for Victorian street entertainers, such as tarot and black magic. Tarot card readers are a hugely popular choice at the Dungeons. Find out more about the amazing history of Tarot and how it can add to your event here. If you want something completely different, why not hold a séance? Use this as a theme to build your entire event around, from the initial séance to the after-party. Have your host pull volunteers out of the audience to get involved, and use actors to thrill the guests by playing the ghouls who have been awoken. Top Tip: Ensure it is funny, tongue-in-cheek horror like The London Dungeons; people don’t want to be too scared! If your planning a party for teenagers or a group of girls why not adopt a different take on ‘scary’ and take inspiration from Twilight with an Edward Cullen lookalike? For more Halloween themed catering ideas from Food by Dish have a read here. Ensure that the drinks are delicious and interesting. By serving a shot or test-tube of a cocktail you can deliver a great impact throughout the night without large quantities of alcohol or unwanted drinks – themed cocktails are often an acquired taste! That way the beer or wine drinkers can enjoy their drink of choice but don’t miss out on your theming. Serve up shots of blood-orange margarita or a poisoned lemon drop for guest on arrival. Add a lychee or red sugared rim for extra punch. Service of the drinks is just as important as the drinks – add an old-fashioned splash of green to cocktails with absinthe served by an Absinthe fairy! And for those who want to stay away from the cocktail, classic wine in goblets or beer in steins keeps the theme alive! Make the most of your DJ by adding musicians to heighten the experience of a DJ; try classical string instruments such as a violinist to add another dimension to popular music. For maximum impact, a haunting flash-mob choir will surprise guests and leave a lasting impression! Don’t leave any detail untouched, and ensure that the theme is kept alive right up until the end of the event. For a finishing touch serve up night-caps such as hot-chocolate with Baileys or Whiskey sours, along with a few sweet treats, such as dessert canapés or marshmallow pops. If you are planning an alcohol-fuelled night then late night snacks always go down very well and will be much appreciated by your guests. Mini pies, bacon sandwiches, or mini burgers are always favourites! Lastly, leave a lasting impression by having giveaways at the end of the night. Traditional Halloween themed goodies such as ‘Trick or Treat’ bags are always a great idea and leave the guests with something to take away with them. Most importantly, remember to enjoy the event yourself! We wish you a spooky party to remember! Charcoal burgers in baps – it’s time for a barbecue!